Last year, Google announced a major upcoming change to its website search index: Mobile-First Indexing. According to Google, “most people” today are searching from mobile devices. As of March 2018, Google began rolling out their mobile-first indexing. 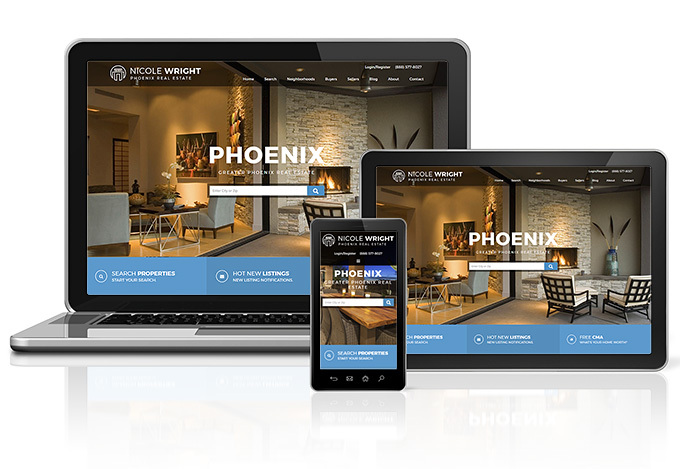 Is your website and IDX solution mobile-friendly and fully responsive? This is a very significant change. It is now more important than ever to review your web strategy and ensure that you have a properly designed mobile/responsive site. The last thing you want are valuable leads that reach your site and move on because the experience is sub-par. Why is a responsive website critical to your business? Google prioritizes mobile-friendly website content. Need we say more? Clients won’t find your site – see #1 above. More people access the web via mobile devices than on a traditional desktop. Websites must look great and function well on any device or they won’t rank well. Clients that do find you, but have a bad experience will leave and move on. Without an effective mobile website strategy you will lose business. With 72% of homebuyers using a mobile device to browse listings (2017 NAR) it’s so important to be ahead of the curve and not behind. Learn more about Google’s mobile-first indexing from SEOmoz, where they explore this further in How Does Mobile-First Indexing Work, and How Does It Impact SEO? Ready to go Mobile Responsive? If you already have a responsive real estate website, Google’s mobile-first indexing won’t affect your ranking. But if you haven’t made the switch, it’s important to act now. Here at Moineau Design, IDXCentral.com, we have over 20+ years experience architecting and designing real estate sites with IDX that are Google friendly. If you would like help reviewing your mobile business strategy to take advantage of Google’s new changes, please contact us.